Tapioca pearls are the essential ingredients in bubble tea, also known as pearl tea and boba tea. These are "size large", perfect for making bubble tea. After cooking they become marble-sized balls. See this link for complete instructions on how to use our tapioca pearls to create a wonderful tea beverage. A healthy, natural delcious food. Ingedients: tapioca. No artificial ingredients. 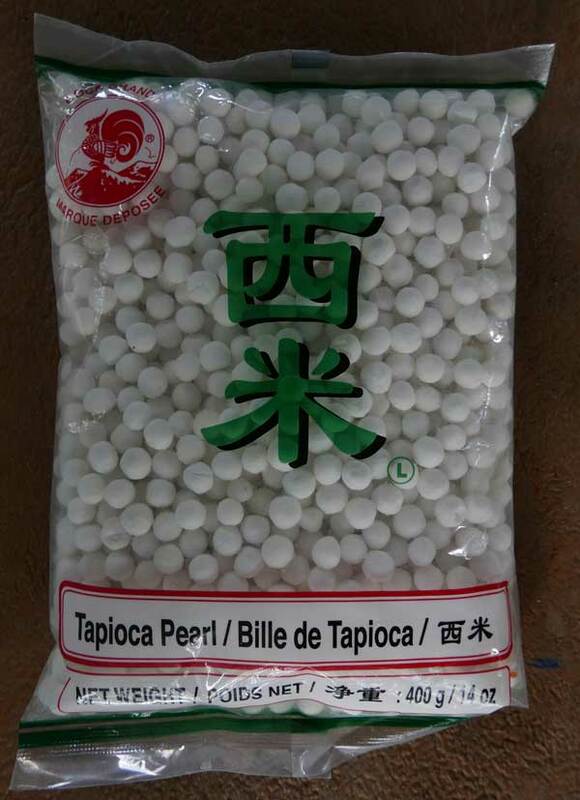 We also offer small tapioca pearl.